James McCartan has been reappointed as the Down senior football manager for the 2013 season. The news was announced ahead of the first Down SFC semi-final between Kilcoo and Bryansford at Pairc Esler on Friday night. McCartan had said that he would consider his future after a 3-18 to 2-9 defeat by Mayo in an All-Ireland quarter-final at Croke Park in August. The county's selectors have yet to be announced. 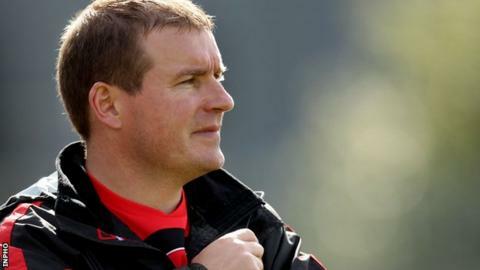 It will be the two-time All-Star's fifth campaign in charge of the county, having brought them to the All-Ireland final in his second year in charge in 2010. Meanwhile, Gerard McGrattan has been appointed as the Down minor hurling manager.